UPDATE: This post was originally published on February 9, 2010. We’ve updated the list. Enjoy, Creatives! When creating texts for your images—whether it be for logos or headlines—we are given the option to make it more lively or to make it plain and simple. Nowadays, “too simple” is not quite the standard in the design world. As designers, we know people tend to expect too much. Following several guidelines and tips, we can create out-of-this-world images and unique designs right from our fingertips. Applying effects on your text is one of the coolest things you can do in Photoshop. Not only do text effects add beauty to your designs, but they are pleasurable to the eye. There are lots of techniques you can do text using Photoshop — and all of them can be found online. All you need to do is look for a good source for those ideas. But worry no more! We’ve compiled 33 Creative Photoshop Tutorials for Text Effects for beginners and advanced users. This list will help you achieve cool effects for your texts. Get some ideas and be amazed. Enjoy viewing and learning! This tutorial will teach you how to create a wildfire effect. In this tutorial, you will learn a 3D text photo manipulation. This tutorial will teach you how to create a smoke effect through Photoshop. This tutorial will teach you to create a hellish text effect in Photoshop. In this tutorial, you will learn to make stitch effects. This is a cool but simple text effect that everyone should learn! In this tutorial, you will learn how to create a 3D text effect with texture. This is a quick 30-minute tutorial for stunning 3D effects. This simple 3D text effect will help your designs really pop out. This tutorial will teach you how to create a a super cool frilly bits typography effect. This retro text effect will bring life and style to your text. With this tutorial, you will be taught how to create a patriotic text effect. This tutorial will teach you to create destructive black and white lettering with a dramatic splash effect. You will learn from this tutorial to create a light burst text effect. This tutorial will teach you to create a burning text effect. In this tutorial, you will learn a spectacular style text effect. You will learn to create a 3D scene out of your text with photoshop. This a dreamy design with 3D typography is a highly stylized effect. This tutorial will teach you create an impressvie-looking text effect. 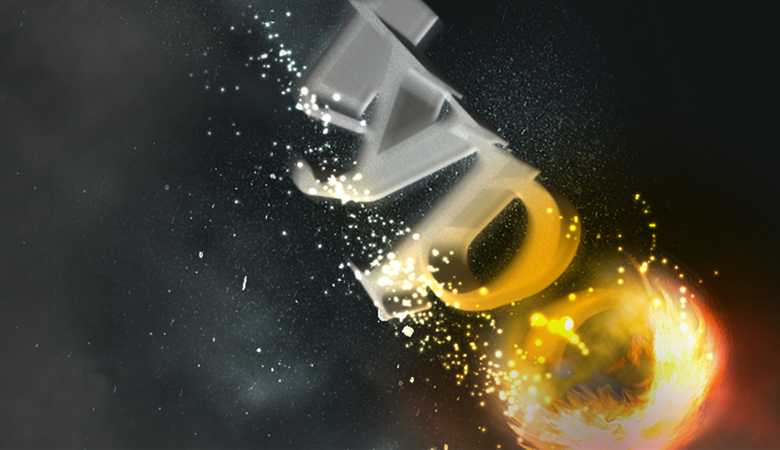 You will learn how to create a flaming meteor text effect from this tutorial. A quick and easy moon shine text effect tutorial that you should learn. In this tutorial, you will learn how to create a 3D spectacular text effect. This tutorial will teach you to create a copper text effect in photoshop. This tutorial will teach you how to create super glossy 3D typography using Illustrator and Photoshop. Learn how to create this cool little 3D text effect. A tutorial that promises to make your text look really cool. In this tutorial, see how you can create a text effect using a photo of a rope and the Puppet Warp tool. Create extremely glossy and shiny text effect with glitter texture.